Hearts are everywhere in February spreading love and awareness all around. And what better way than with your favorite SupportStore products! Spread the word about the importance of heart health, plan ahead for your next cause related event, or even surprise that special someone with our Valentine’s Day Car Magnets. We’re hear to help you shout out what you care about! Heart awareness, cancer prevention, and organ donation are among the causes drawing awareness during this shortest month of the year. Here are some of the most popular products available to support these causes. Remind yourself and others that healthy choices fight heart disease. Available in 8″ adult and 7″ youth sizes. 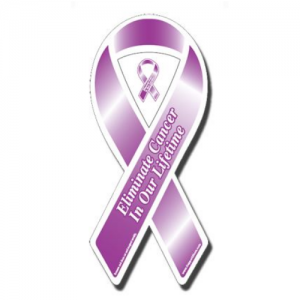 Show your support for the continued search for a cure to help eliminate all cancers in our lifetime. Did you know that 1 organ donor can save 8 lives?Spread the word! Available in 8″ adult & 7″ youth sizes. 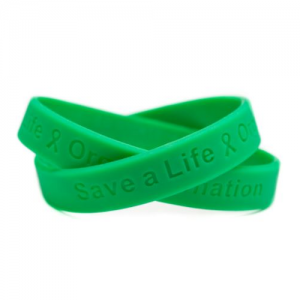 Wristbands are a fun and colorful way to shout out about your favorite causes. 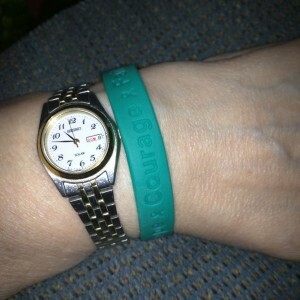 Wear them to show support for a loved one, use for fundraisers and other cause awareness events. 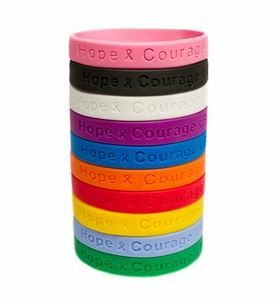 Save 10% on all wristbands and wristband accessories through February 4, 2019. Outside of skin cancer, colorectal cancer is the third most diagnosed cancer in American men and women with it occurring in 1 in 22 men and 1 in 24 women. The good news is that screenings for colon cancer with a colonoscopy are saving more and more lives every year. During the month of March, spread the word about the importance of early screening and getting a colonoscopy with our selection of Colon Cancer Awareness products. 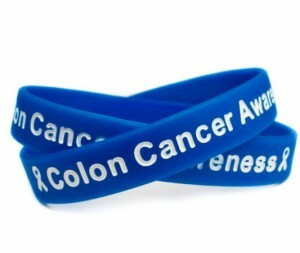 Shop all Colon Cancer Awareness products. There’s no better way to stick with those healthy living New Years resolutions than participating in Heart Awareness Month. Taking small steps towards healthy choices today can help your heart for years to come. Eating well, exercising, managing stress and getting enough sleep are just a few of the things that the American Heart Association recommend for heart health. 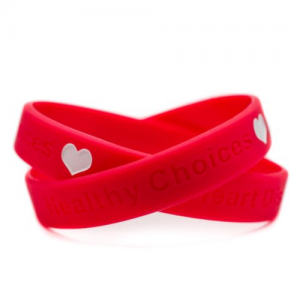 Your SupportStore purchases not only help you shout out what you care about, but also allow you to collect Cash for Causes points that can be redeemed for donations to the American Heart Association as well as other selected organizations. Log on to your SupportStore account today to check your Cash for Causes points balance.